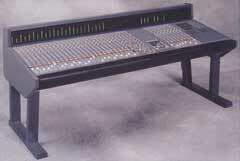 Since we developed the original 5MT mixing desk in 1985, numerous versions and variants for different applications have been developed. adt-audio's 5MT has become an extensive system on the basis of the numerous and compatible components which exists, and the range of quality features offered. More than 180 consoles have been installed to this day. All our consoles are assembled according to a customer's desired configuration. Installation of remote control devices, keyboards, and rack mountable versions can be assembled in almost any arbitrary configuration. Furthermore, expanding or upgrading is quiet easy, since various components of the system are compatible, and all new components will also conform to the existing system. This makes this console 'future-proof' and protects the investment of owning the console. The Series S is the 'Multi-version' of the 5MTSeries of analog mixing desks, due to the multitude of available components and therefore, it's numerous possible configurations. More tan 40 input module types, numerous fader modules and 8 different master sections, several patch-bay versions and metering variants and our automation computer CAS cover the entire range of applications for an mixing desk. 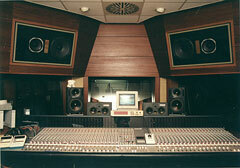 The D series version is specially configured for music production. Mixers of the D series distinguish themselves by a price/performance ratio unusual in this category. With a set of input modules the series D covers the most important demands in this range of application. All the other master blocks, automation and the rest of the components are used. Also, input modules of the series S and series C can be used in D series arrangements. The Series C, the Compact version is only limited to a smaller frame size. For the C-series there are approximately 20 input channel types, it uses the same master blocks, patchbays, metering and computer as the Series S. Therefore, this version offers all the benefits of the 5MT in situations where the available space is limited. A Broadcast Version is also available. The Broadcast series of analog consoles by adt-audio is based on the frame of a Series S. Special input modules and master modules are configured for the demands of radio and television operations and production enterprise with radio broadcasting and television. The components of the Broadcast series offer a maximum in reliability with the most extensive possibilities. 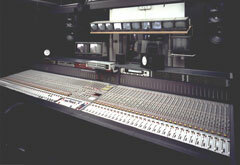 The series MR is a very high quality audio console configured for music or post-production. Three different input module types and master block sections are offered for MR. All the features and facilities necessary for fast turn around and setup are included. In addition, this series is fitted with the CRS Recall and the CAS automation computer.